This holiday is celebrated on First Monday in February. It celebrates the ratification of the Constitution of 1917, adopted after the Mexican Revolution. The 1917 Constitution was drafted in Santiago de Queretaro during the Mexican Revolution. It was approved by the Constitutional Congress on 5 February 1917, with Venustiano Carranza serving as the first president. The Mexican constitution of 1917 was the first such constitution in the world to include social rights and served as a model for the Weimar Constitution of 1919 and the Russian Constitution of 1918. All government offices, schools and businesses are closed on this day. 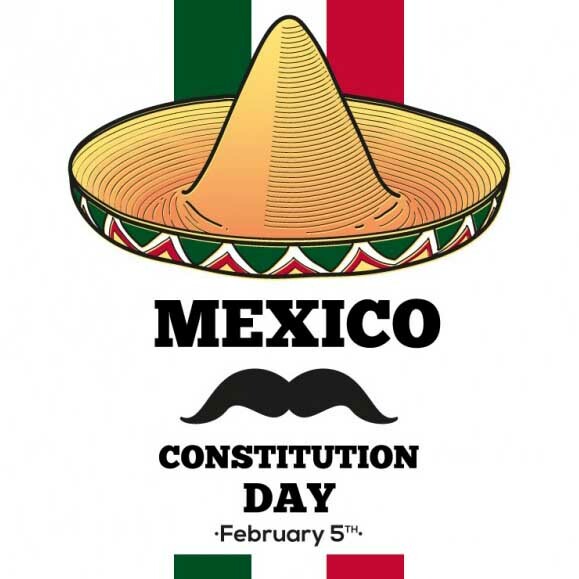 Constitution Day is marked by large parades across Mexico.